On Wednesday, Amtrak President and CEO Wick Moorman called on the Senate Subcommittee on Surface Transportation and Merchant Marine Infrastructure, Safety and Security to invest in the rail company’s infrastructure, fleet and stations. In a statement at the Senate hearing, Moorman revealed that Amtrak had record ridership in 2016 with more than 31 million passengers and ticket revenues of $2.2 billion. While the numbers were impressive, he remained adamant that improving safety and upgrading products and efficiency would help the rail company make 2017 even more fiscally successful. In order for Amtrak to improve the infrastructure that has been in place for the last 45 years, the rail company needs the support of Congress and other government officials. With several projects in mind to help strengthen Amtrak’s ability to safely and effectively serve its customers — including much-needed upgrades to the Northeast Corridor — Moorman outlined projects that warrant significant investment. Some of Moorman’s top priorities include building the Portal North Bridge and new Hudson Tunnels; constructing the new B&P Tunnel and Susquehanna Bridge in Maryland; expanding and improving Chicago and Washington Union Stations, building a fleet of new or rebuilt diesel locomotives; and removing chokepoints in key underserved markets. Moorman emphasized the importance of Amtrak to the 21 states and various commuter agencies the rail company partners with to provide service on corridors across the country. While Amtrak has pledged to work closely with all of its partners, it is calling on the government for further help and funding. 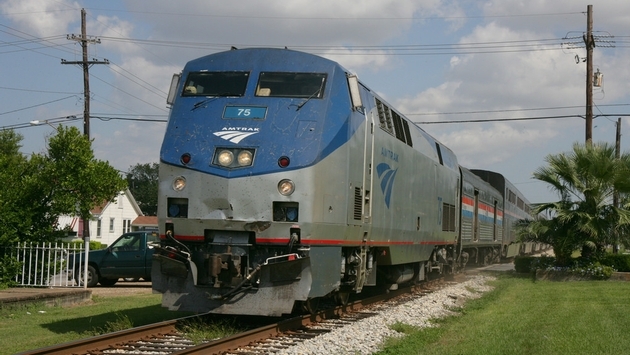 In addition, Moorman called on the Federal government to advance intercity passenger rail service by utilizing innovative financing, streamlining the environmental review process and removing red tape.